Long before there was disco Cher (who is awesome) there was Native American/Southwest inspired Cher (equally as awesome). Ok, so maybe it's not too long before, only a few years. In the early 1970s Cher often modeled in Vogue magazine (probably a lot of that has to do with the then Vogue editor in chief, Diana Vreeland, who loved how Cher looked) and in most of these editorial stories Cher wore a lot of incredible Native American jewelry, colors, and textures. Also, can I just say how much I love her pin straight black mane? 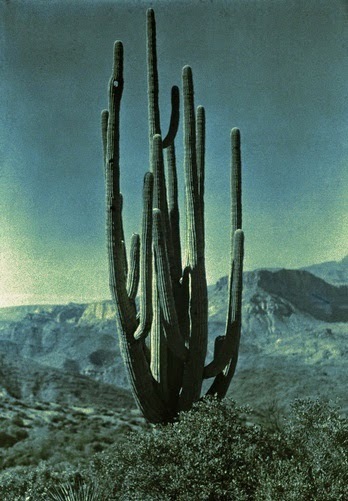 Makes me want to grow mine out then get a Brazilian blow out so I can channel my "take me back to 1973" native spirit. All right, I know that last photo (in the bottom right corner) isn't of Cher, but you get the vibe. 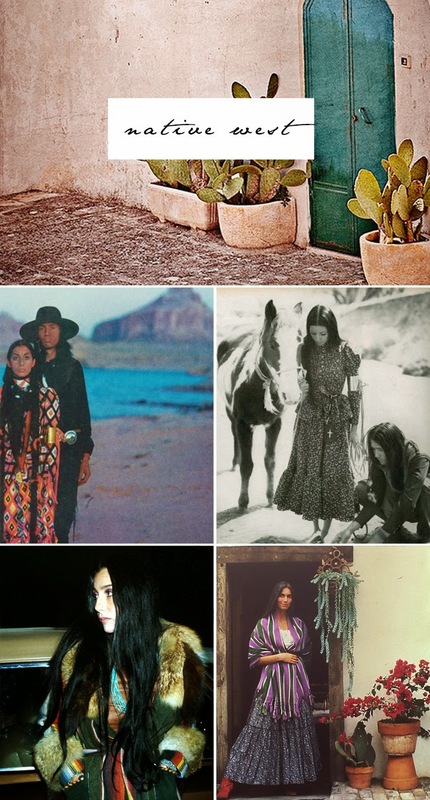 Here are some more Southwest/Native American fashion + lifestyle inspirations. 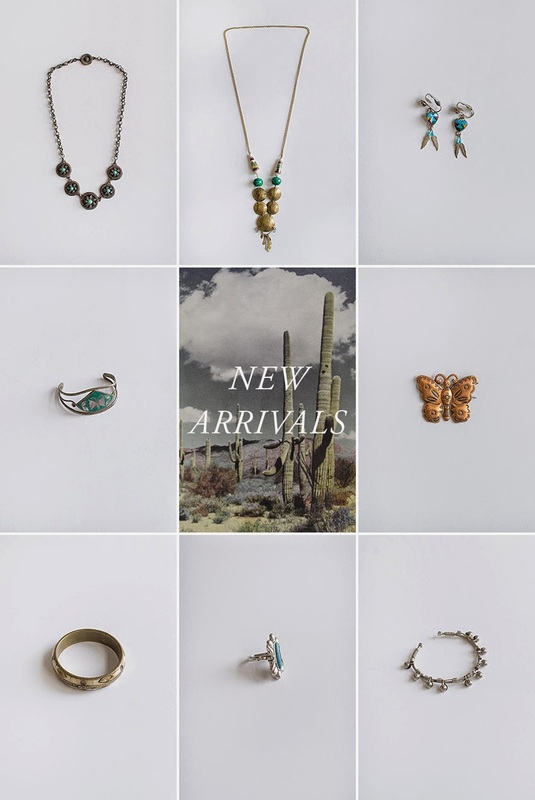 And if you get a quick minute, check out all the native and bohemian inspired vintage jewelry that just arrived in the shop! 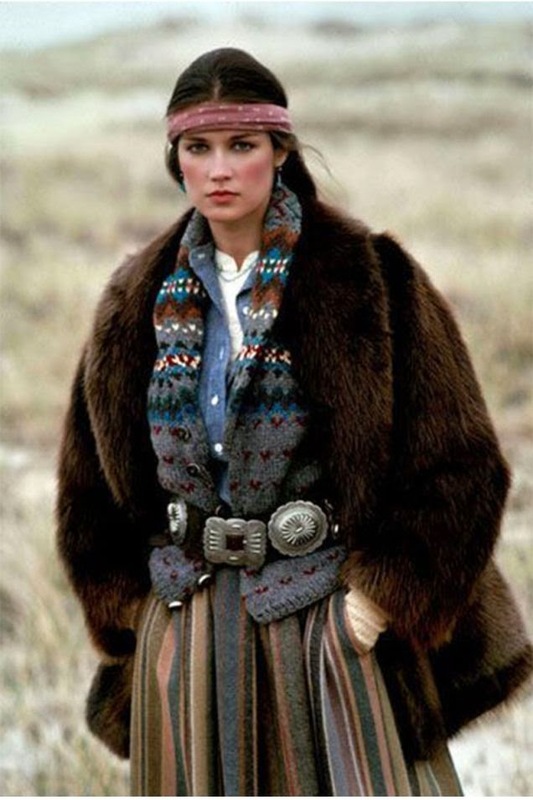 Isn't the vintage Ralph Lauren advertisement just amazing? Although I could do without the bandana around the head like that, too Rambo for me. 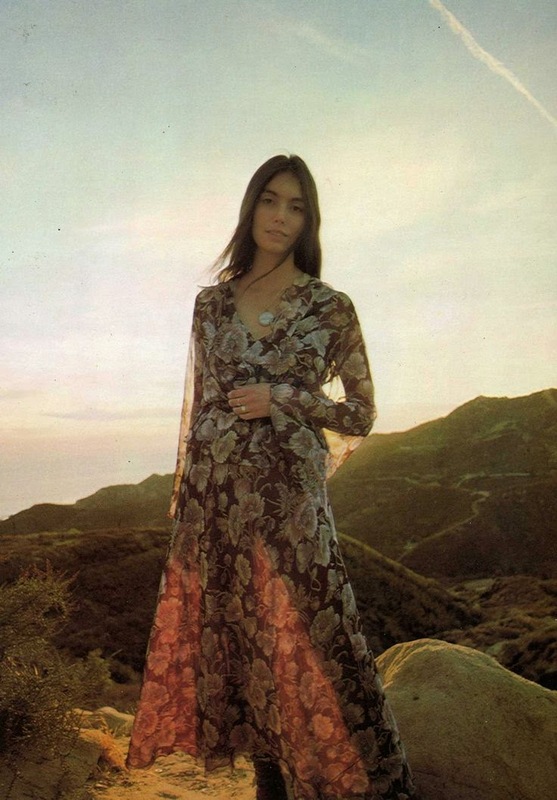 And this last photo of country darling Emmylou Harris photographed at magic hour with the sun through her bohemian floral dress and her simple silver jewelry. I adore this so much. I must admit I am usually a silent observer here at your lovely blog...but this post made me break my silence ;) Gorgeous inspiration here, and those pieces in your shop are just divine. Both early Cher and Emmylou have been really influential in my wardrobe lately! I love their care-free chic!